Cashmio Casino – St. Patrick’s Champions! Win up to 300 Free Spins on Asgardian Stones™! The daily races at Cashmio Casino have been boosted for the special celebrations of St. Patrick’s Day. The winner will walk away with an awesome 300 Free Spins on the latest Netent creation, Asgardian Stones™. Players compete over twelve hours by spinning on a selection of thrilling games to race into the TOP10 on the leader board to win Free Spins on the daily slot. Ready, set go! DAILY MISSIONS: Do not forget to complete your three daily missions to receive cash or bonus credits and Free Spins. Every player will be able to see his/her missions after log-in. The rewards will be instantly credited once a mission is completed. Celebrate St’ Patrick’s Day and take part in this thrilling 12-hour race at Cashmio Casino on selected slots from various providers. The TOP10 from the race will receive Free Spins prizes which are boosted for this special Irish day. This Champions Races are “Spin and Win” races where each winning spin will earn 1 point towards the live leader board, which is updated in real time. Plus earn 3 points for three wins in a row and 25 points for every BIG win. The TOP10 players with the most points at the end of the competition will earn serious bragging rights and a Free Spins reward. Race Games: Golden Shamrock, Irish Eyes, Irish Eyes 2, Leprechaun Goes To Egypt, Bier Haus, Rainbow Riches, Holmes and the Stolen Stones, Troll Hunters, Alchymedes, Leprechaun Hills, Finn and the Swirly Spin™, Fairy Gate, Rainbow Ryan, Heidi’s Beer House, Ozwin’s Jackpots. No need to OPT-IN as all winning spins on the eligible games are automatically counted. All prizes are instantly credited after the race ends. Winnings from the Free Spins carry a 40x wagering requirement. 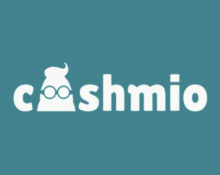 Cashmio Bonus Terms and Conditions apply, always read them carefully. Launched in 2015, the casino is operated by MT SecureTrade Ltd. under MGA Malta and UKGC licenses. On offer for play on desktop, mobile and tablet are an extensive range of games from Netent, Betsoft, Big Time Gaming, Blueprint Gaming, Genesis, JustForTheWin, Microgaming, NextGen, NYX Interactive, Play ‘n GO, Quickspin, Red Tiger Gaming, SkillOnNet, Thunderkick, Scientific Games (Bally, Barcrest, WMS) and Yggdrasil. The LIVE casino tables are powered by Evolution Gaming and Netent Live. 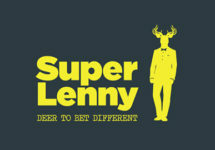 SuperLenny – 5 Netent Slots, €5K Prize Pool! 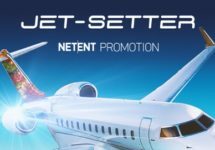 Netent Jet-Setter Promotion | Final Week!